owls about that then! : Another Owl Box. A couple of weeks ago whilst erecting a Barn Owl box at a private location I chanced upon a pile of 50 x long wooden boxes, there approx dimensions were 2 feet square and 12 feet long. They looked absolutely perfect for being adapted into more owl boxes, trouble was they weren't mine! So after a bit of of down on my knees groveling with the land owner I was told to take what I wanted, yesssss! Due to the size of them I was going to need a large undercover workshop/area for storage and working on them, it also needed to be as close to home as possible? So this is where my mate Norman comes onto the scene, Norman has his own steel fabrication business only a mile from where I live, and he kindly offered me the use of his premises. So one evening last week I made a trip over there with Norman in his flat bed lorry (he's a handy guy to know!). We were going to take several of these boxes back and store them at his premises. I would then go back in the evenings and at weekends to start adapting them into loads and loads of owl boxes. The trouble was we just couldn't lift them, we didn't realise until we inspected them closer that they were made of 1 1/2" ply with two 2" x 3" hard wood bearers that ran the entire length of the box, it also had a 2" ply board false bottom and 8 steel lifting lugs, believe me they were HEAVY and going nowhere!! So our original plan of taking a lorry load of these boxes back to Norm's was discarded, instead we decided to saw one box in half to reduce the weight. Now that was easier said than done, we took it in turns with the hand saw and eventually we got there, it only took us an hour! We were both knackered, but we did have enough strength to load the two halves onto the lorry, just! So that brings me to this morning, Col Green and I went over to Norms to take a closer look at the boxes and work out the best way to adapt them into owl boxes. When Col saw them he wasn't very impressed, the simple and quick task of converting them into owl boxes was far more complicated than I'd made out, oh no I was in trouble! Anyway after Col had given me a bollocking we got on with the task in hand, he can be seen here using Norm's fork lift truck to manoeuvre the heavy timber. Not the wide angle shot that I'd have liked but I forgot to take my camera with us so these images were taken on Col's phone (he doesn't look very happy does he?). It took us far longer than anticipated and sadly a lot of the timber was wasted. It wasn't just a case of sawing the long box into segments and then adding a side and an end. We had to completely strip it down and then discard the false bottom and hardwood bearers before re-assembling what was left, but with Col's expertise we did it! Even though the box size was now 30% smaller than we originally planned it was still dam heavy, we reckon double the weight of any other box we had ever made. Normally we are able to take a box up the ladder before fixing it into position, there was no way we could possible do that with this box, but fear not I had a plan! I made a quick call to the land owner where we wanted to site the box, I explained our dilemma and asked for his assistance, he was only too willing to help. 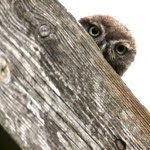 He knew that if the two Barns Owls he'd seen recently around his farm were to remain we had to act fast. And here is the secret weapon, it made easy work of getting the both of us up to the correct height so we could mount the box, it made Col a happy chappy too! And finally, our newly designed box in it's final resting place, do ya like it? I will be returning to the box very soon to put on some roof felt to help protect it from the elements. Apparently it is the kind that adheres with the use of a blow torch, but that's another story and another mate that's been hoodwinked into helping me! 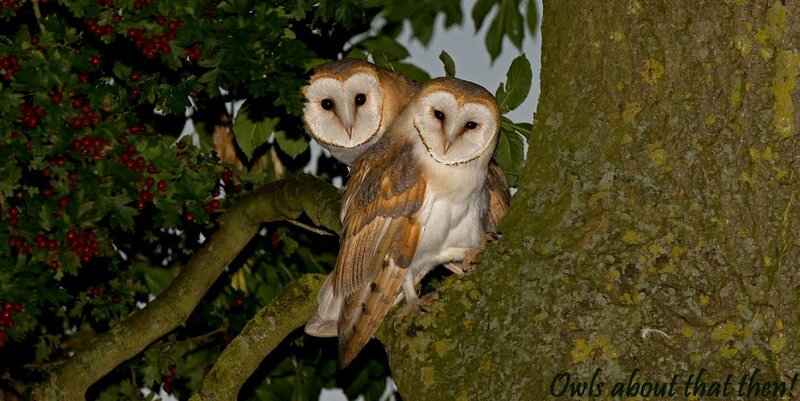 Paul, I do hope the owls appreciate all the hard work you guys are doing to help them. That box looks pretty good to me - well done. That's impressive Paul! Are you sure it's not going to pull the tree over? Great post Paul and that is one solid looking nest box. Hope you had a couple of beers after all that! A cracker mate, love your dedication. Saw a completely new barnie last night on my way home from the lakes, illuminated by the lights of my car. Great experience. Colin never looks happy... he usually is though - just never looks it!